Discussion in 'Dungeons & Events' started by Zodiac, Nov 13, 2018. 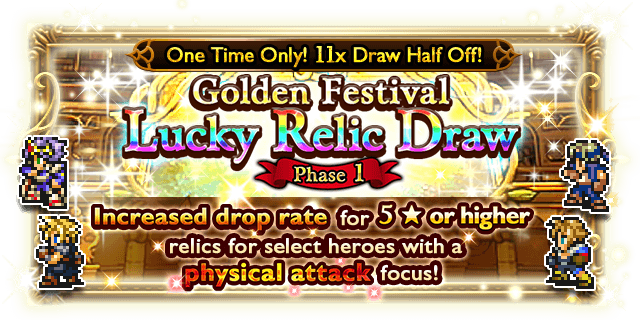 This is the once only half price 11x relic draw, whereby there are a total of 3 phases. Deuce, Starkiller, Tricky1 and 2 others like this. Provided this list is consistent with what they give us, I'll definitely pull on the physical lucky. I have everything of note on the magical lucky except Ashe ASB, but this isn't the place to try for it. I only have 3 non-dupes on that banner! Yuck. Healer one is a complete pass. Near 100% dupes. OhCanada, Luxord and Lounas like this. 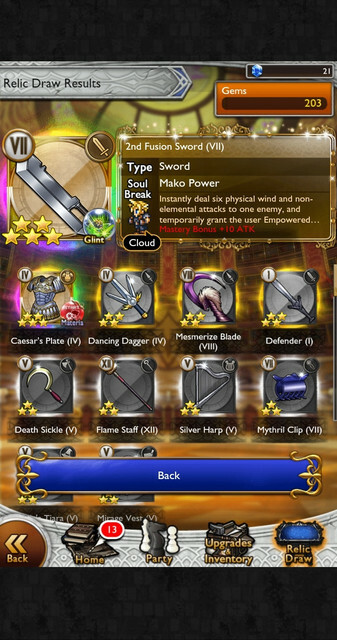 3/11: Squall USB2, Squall Glint, and dupe Tidus LMR. Very happy with that outcome. Deuce, Roche, Luxord and 1 other person like this. I've had better lucky draws in the pre-G5 era. 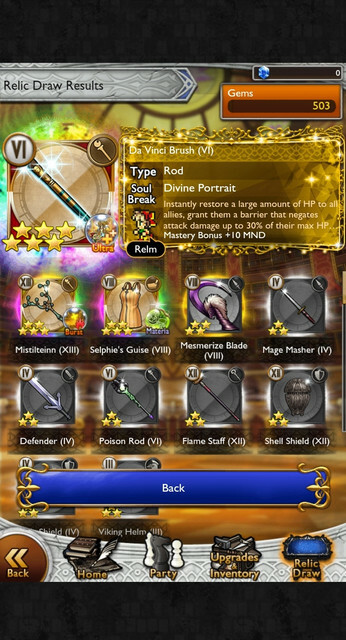 Pecil got buffed some more and a dupe Cloud Glint that i just recently won from the daily draw..
Deuce, Roche and Luxord like this. 1/11 Locke's glint, new at least. Probably skipping magic, lots of dupes. Deuce and Lounas like this. Deuce, Lounas and Luxord like this. Rinoa kit. New USB and dupe BSB. I'll take it. Ashe’s glint also is good complement for her AOSB I already had. Vic, Deuce, Hibernis and 2 others like this. Yeaah!! Now I have the final piece I was missing to be able to beat Torment Cuchulainn! Vic, Luxord, fedeMDP and 2 others like this. 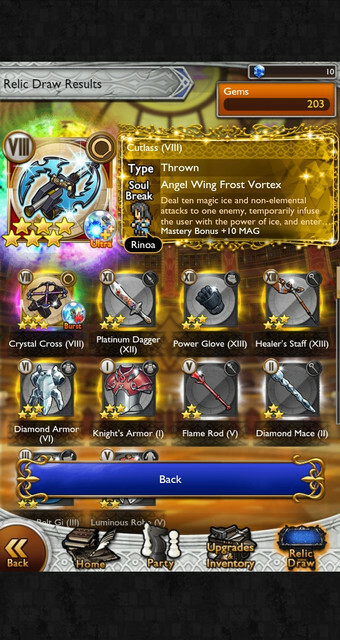 Only pulling on Phase 3 for Aerith USB2 glory. Luxord, fedeMDP, Lounas and 1 other person like this. I never bothered to upgrade or combine the relics. After mastery, into the Vault they go. 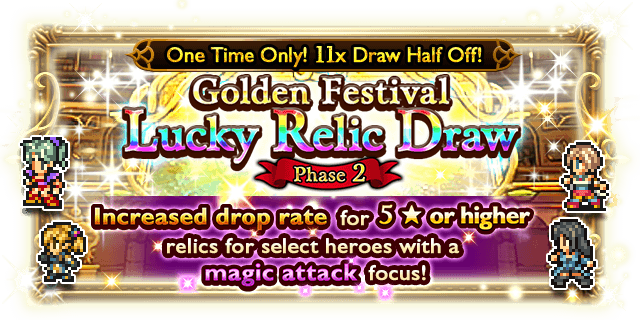 They'll be feed rainbow relics once it arrives in Global. Spoiler: One disco, three sparklies! It’s a rule: if I pull on a banner with any Locke on it, I get Locke’s stuff. Pulling for Celes? Get Locke. Pulling for Terra? Locke. Pulling for Cloud? Have you met my friend, Locke? Slowly, with no planning or desire, my accidental husbando has turned into a fiery killing machine. I should probably LD the guy. I didn’t get a screenshot. Ashe Glint/11. A shame, because my lightning team needs some help, and I was hoping this banner would bring it. In between the last Lucky and this one, I did a Realm draw on XII, which was Penelo LMR/11 (and that, a dupe). That white stuff on the floor? Not sugar. Vic, Lounas and Luxord like this. Deuce, Luxord and Lounas like this. Lmao this is so true! I never bothered to upgrade or combine the relics. After mastery, into the Value they go. 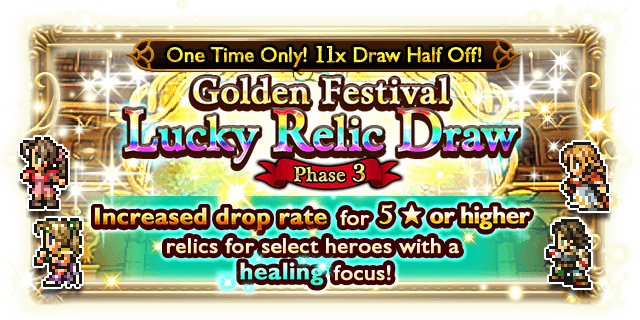 They'll be feed rainbow relics once it arrives in Global. Did the healing draw. 5 dupes, but a chance at aerith usb2 for half price is worth it I figured.